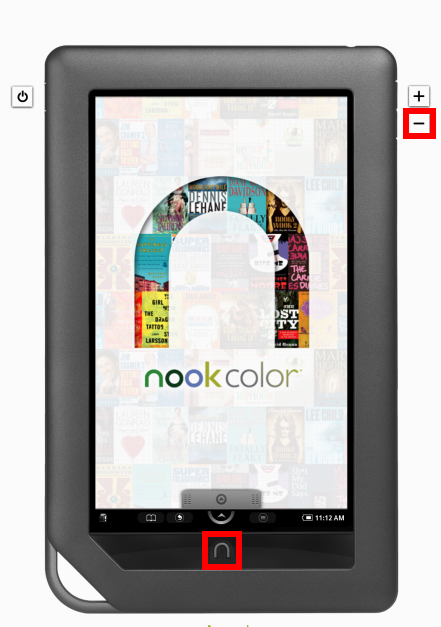 How to take screenshots on the Nook Color. Press ∩ button and "-" volume button simultaneously. Recently reviewing my Nook Color content, I realised I have been showing Nook screenshots for months in various tips and tutorials, yet have never revealed how this is accomplished. A simple press of the ∩ button and – button (lower volume) simultaneously does the trick. To learn how to take screenshots on the iPad & iPhone read this. I tried this method and it didn’t work for me.